Visit some of England's top sights on this full-day trip to Oxford, Stratford-upon-Avon, and Warwick Castle from London. Head to Stratford-upon-Avon for a private tour of Shakespeare’s Schoolroom before it opens to the public. 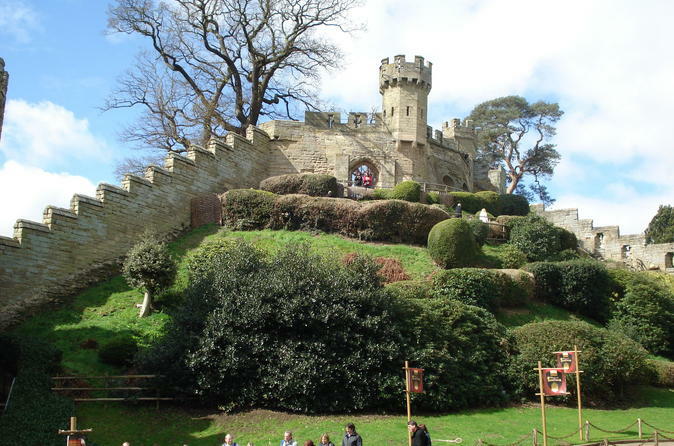 Continue to Warwick Castle, Britain’s greatest medieval fortress. Soak up its colorful history brought alive by actors, Madame Tussauds' waxworks, and special effects, as you explore independently. Then travel to Oxford for a walking tour of highlights including its ivy-clad university colleges, libraries, and chapels. 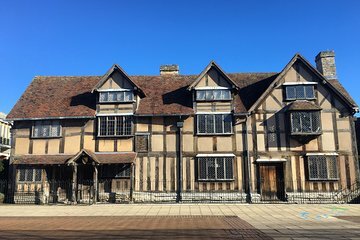 Depart Victoria Station by comfortable, air-conditioned coach, and travel to Stratford-upon-Avon, where William Shakespeare, England’s greatest playwright, was born in 1564. Head to Shakespeare's Schoolroom, attended by Shakespeare in the 1570s, and take a private tour before it opens to the general public, including a lesson in the schoolroom. Afterward, take some free time to explore this charming market town, famous for its half-timbered buildings and the theaters of the hallowed Royal Shakespeare Company. Perhaps take in the views of the pretty Avon River as its snakes past Holy Trinity church, the burial place of Shakespeare, and if you wish, visit other history-steeped sites such as Shakespeare’s childhood home or school. Have lunch (own expense) at your choice of the town's many cafes and restaurants, and then drive on to Warwick, home to Warwick Castle. Dating to the 11th century, this magnificent fortress is Britain’s greatest medieval castle and will instantly transport you back to a world of royal jousts, bloody battles and fire-lit banquets. Head inside, and after an introduction to the castle’s history, enjoy ample time to explore on your own. Stroll around the towers and ramparts, and experience the eerie dungeons and chambers where history is brought to life with actors, special effects and waxworks from the famous Madame Tussauds. Be sure to visit other areas of the building such as the lavish State Rooms and impressive Great Hall, once the heart of castle life, and where the nobility ate, drank and slept. Continue north to Oxford, one of England’s most beautiful cities and home to one of the world’s oldest and most renowned universities. On arrival, take a walking tour to admire the architectural and historical highlights of this glorious university city. Stroll around the honey-colored streets and passageways, and learn about the university’s famous colleges as you behold their ivy-bedecked walls, courtyards, chapels and libraries. Afterward, reconvene with your guide and relax on your coach ride back to central London, where your tour concludes.  I am a huge Shakespear fan and I loved this trip! But the other places were also well worth the price. Each location was different and had something interesting to see and do. Oxford University was a nice town and we walked around the campus. Stratford-upon-Avon was a lovely Shakespeare town. We weren't able to see Warwick Castle but we went elsewhere we just didn't have time at the other castle to really enjoy it. For a quick overview though, this is a good tour. Best guide ever! He was so knowledgeable and personable. We loved the tour!!! The tour was spot on with everything that was stated in the online booking information. I loved the guide who was very tongue in cheek with his commentaries. Great job! Our tour guide, Steve, made the trip outstanding. We had a great time in all three locations, however, time allotted in Oxford was very short. Steve made sure we made the best use of that short time. Very happy we took this tour. The tour guide was splendid and very knowledgeable. The sights of the town and Warwick Castle was awesome. Good tour just enough information about Shakespeare to keep it interesting. Disappointed that I was not given enough time to roam around Oxford. The guide has been giving long history lesson in which I was not very keen.